Have you ever been named as a defendant in a mineral royalty interpleader lawsuit? Ever heard of such a thing? In Arkansas, and especially in those counties in the Fayetteville Shale, oil, gas, and mineral royalty interpleader lawsuits are actually quite common. Interpleaders are usually initiated by an operator when there is a title ownership dispute over the minerals. In such a case, the well operator, who owes royalties to the rightful mineral owners, may initiate the interpleader lawsuit and name all possible claimants of the oil, gas, and minerals as defendants and request that the court determine the ownership. The well operator will usually deposit the royalties and other disputed funds that are owed in an account that is held and managed by the circuit court clerk until the court determines the winner and orders a distribution. Title disputes can arise in a variety of situations, but usually are caused by ambiguities in drafting title instruments. Interpleaders are effective methods to resolve title disputes and are advantageous to an operator in Arkansas for a couple of reasons. First, by initiating the lawsuit, and depositing the funds with the court registry, the operator is relieved of liability in connection to distributing those funds. Second, the operator, in the discretion of the court, may receive an award of its attorneys fees from the disputed funds. Thus, it is virtually risk free for an operator to pursue an interpleader. The interpleader case will involve researching mineral title, thus you will want to contact a law firm with experience in that area. Our firm, Daily & Woods, has represented clients in interpleader actions, and has represented plaintiff operators and defendant mineral owners in interpleader cases throughout Arkansas, including Heber Springs (Cleburne County), Morrilton (Conway County), Clinton (Van Buren County), Conway (Faulkner County), Russellville (Pope County), Searcy (White County), Little Rock (Pulaski County), Ozark (Franklin County), Johnson (Pope County), Fort Smith and Greenwood (Sebastian County). If you have been served with an interpleader complaint, you can contact our firm to discuss your options. C. Michael Daily accepts oil, gas, mineral, probate and business law cases in all cities in Arkansas, including Heber Springs, Morrilton, Clinton, Paris, Ozark, Searcy, Russellville, Conway, Atkins, Fort Smith, Van Buren, and Fayetteville. 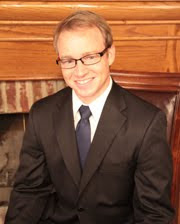 C. Michael Daily represents mineral producers at all stages of production, assists mineral owners with ownership disputes, and represents his clients in state court, federal court and before the Arkansas Oil and Gas Commission. You can follow Oil, gas, and mineral lawyer C. Michael Daily via social network using any of the social network links in the right hand column of the page. Disclaimer: This blog is for informational purposes, is certainly not to be considered legal advice and is absolutely not a substitute for any of the benefits that are associated with the attorney-client relationship. Your case is unique--if you have an Arkansas oil, gas, mineral law, probate or business law question, you can contact C. Michael Daily.